Keep your concealed carry easily accessible with Sportsman's Edge's Leather Fanny Pack with Holster. 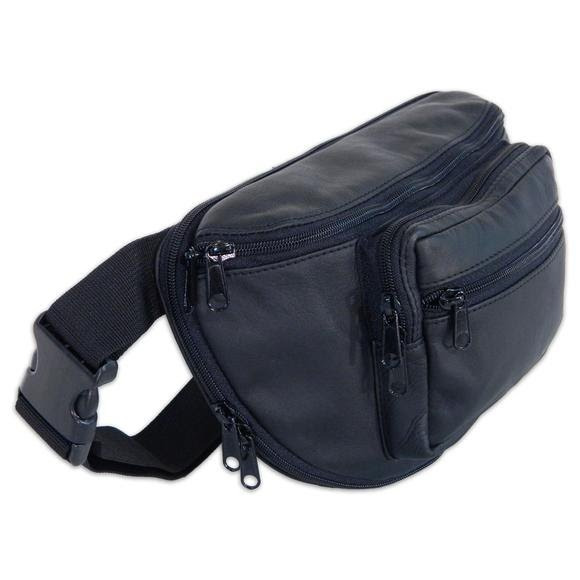 This fanny pack features a zip closure compartment at the rear with an interior holster. Opens in seconds for easy access to a sidearm. Keep your concealed carry easily accessible with Sportsman&apos;s Edge &apos;s Leather Fanny Pack with Holster. This fanny pack features a zip closure compartment at the rear with an interior holster. Opens in seconds for easy access to a sidearm. Dimensions 33.02 cm x 21.59 cm x 10.16 cm / 13" x 8.5" x 4"